Stock market analyst Avinash Gorakshakar of Anagram Capital has maintained 'hold' rating on Tata Motors Ltd stock with long-term target of Rs 1200-1250. According to analyst, the investors can achieve the said target in 8-10 months period. Today, the stock of the company opened at Rs 1035 on the Bombay Stock Exchange (BSE). The share price has seen a 52-week high of Rs 1055 and a low of Rs 430 on BSE. Current EPS & P/E ratio stood at 51.12 and 19.89 respectively. 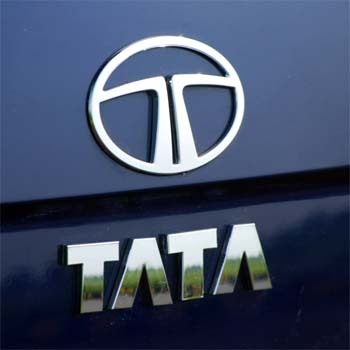 The worldwide sales of Tata Motors Group, which includes Tata, Tata Daewoo and Hispano Carrocera array of commercial vehicles, Tata passenger vehicles together with distributed brands in the country, and Jaguar and Land Rover, grew by 36% to 90,646 during the last month (July 2010). For the financial year July 2010, cumulative sales stood at 339,824, up 46%, as against the same period during the last fiscal. Commercial vehicles sales' increased by 30% to 40,576 in the last month. Cumulative sales for the fiscal remained up by 38% at 151,730. The company will roll out its electric Indica and Ace EV in the European market during the current fiscal. Ravi Kant, Vice-Chairman, said that Tata Motors would start retailing electric vehicles in the UK and Scandinavian countries.